Based on our most popular and SOLD OUT PA Day Clinics, Christmas/New Years and March Break Camps; this camp is a development camp that is offered for 4 weeks in the summer. The camp will consist of 3 hours of on ice instruction, 1 hour for lunch, 2 hours of Dryland/Turf and 1 hour of ice time to finish off the day! 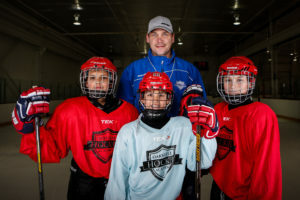 This camp will help improve skating, puck handling, passing and shooting skills. The Dryland/Turf portion will be a mixture of dryland drills (quick feet, plyometrics, etc) and games with Conquer Fitness. Register now for some skill developing fun! Our most popular summer camp is back for its 11th season with 4 weeks available for registration! 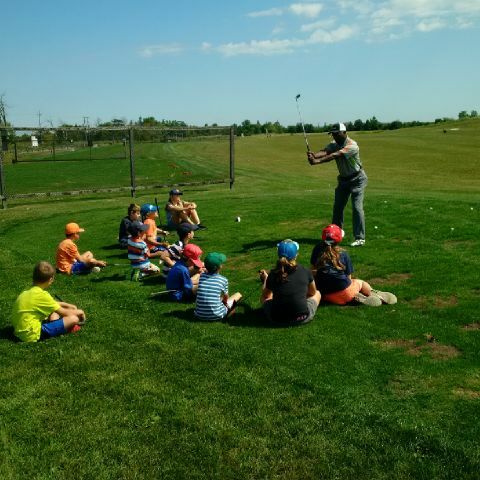 Start off the day with the cool mornings at Vic Hadfield’s Family Golf and Learning Centre and end the day on the cool refreshing ice during the hot afternoons. On ice skill development with our Professional Instructors includes: power skating, edge work, puck control, different styles and shooting techniques, along with races, skill competitions, shootouts and a 3 on 3 game.